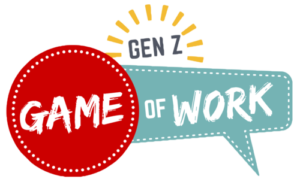 SPOT International will facilitate the Generation Z Game of Work class at Caldwell High School this fall, but we need your assistance to help the students pay for the online assessments. We are confident that you care about this new generation, and now you can help by supporting one or more students to participate in this important class that will benefit their future. If you sponsor 3 or more students, SPOT International would like to offer a free training for your business. You will learn the generational characteristics of Millennial workers and how to better integrate them into your workplace. The rising generation is ready and excited to learn the fundamental people skills they will need to be successful in the workforce. We at SPOT International have developed and are ready to teach a course that will train them in these essential skills, as well as give them the opportunity for internships and important work experience. We call this: Gen Z Game of Work. Earlier this year we presented Gen Z Game of Work to 240 students who will be Juniors or Seniors this fall at Caldwell High School. The students’ response was fantastic and they immediately filled the 30 seats available in the class—as well as a large waiting list for a second class. We now need your help to sponsor a student so they can participate in this course. Your donation of $100 will help a student have a brighter future! Companies in the Treasure Valley have indicated to the Department of Labor last year that the key labor challenge they are facing is integrating the new generation of workers into their companies. 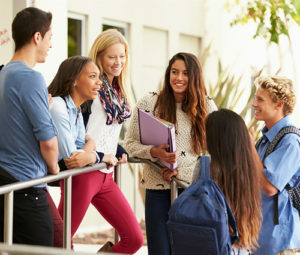 Though independent and very intelligent, many young people are lacking crucial soft skills like good face to face conversation and verbal communication ethics. Many have a hard time understanding company structures and processes. They are left discouraged and quitting work after only a few weeks. To make this possible, we needed some financial backing and applied for a grant through the Idaho Department of Labor. They were very supportive and helped us get a grant writer to review and guide us on the application requirements and procedures. However, after 10 months of working on this proposal, our grant was denied. The review committee decided to assign grants only for projects that will have direct-employment outcome. The people who turned down the grant proposal even agreed that the soft skills training is badly needed, but their hands were tied. It has been a frustrating path for all the people involved. SPOT International is still committed to making this program a reality—because it will benefit not only the students that are ready for this experience, but all businesses in the Treasure Valley. Our vision is to eventually reach out to students and businesses across the country. We have already put in hundreds and hundreds of hours at our own expense to make this class a reality, but we need your support for one last step. 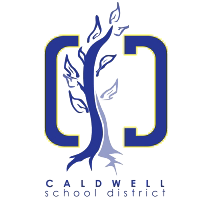 We have the approval of the Superintendent of the Caldwell School District and the Caldwell High School is enthusiastically supporting the pilot class. The high school has assigned a teacher to work with us, and the students have made room in their schedule for the class this fall. Many students in this school are from homes that are at the poverty level, so we are looking to other sources for financial support. An integral part of the course is helping students understand themselves and figure out what they want to do in the future. One important tool will be the multiple assessments that will take place at the start of the course. This assessment will cost $100.00 per student, your donation is tax-deductible. Every student that will go through this course will be more confident and assertive, and gain the crucial ability to engage and adapt to company needs and challenges. They will know how to integrate into work with the other generations already there. With your help we can retain these talented young men and women in our area. Thank you for your kind generosity, we will make sure the students you will sponsor will acknowledge your contribution. 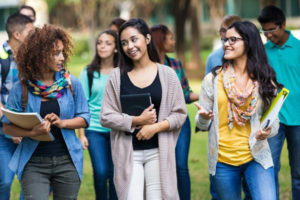 To sponsor, become a business partner, or know more about Generation Z – Game of Work and how we can help prepare our students and children for a brighter future, please call us now at (208) 780-1188 or send us an email at info@spotinternationalservices.com.